The Start-up Actions represent concrete opportunities to explore innovative, knowledge-based pathways and forward-looking visions with a multidisciplinary, mission-oriented approach, for further uptake and developments. In practice, they will be jointly developed by the partners through workshops and/or networking activities implemented at transnational level, complemented by desk work, and dedicated to the preparation of creative, forward-looking studies on specific blue economy themes that are crucial for the future of the Mediterranean. The BLUEMED project will support the selected entities by funding up to three meetings/workshops per Start-up Action, providing the best environment for the partners to discuss and plan their studies. Partners are encouraged to show a strong sense of leadership with regard to their studies: ideally, additional funding sources will be secured, enabling the projects to continue developing upon completion of the Start-up Actions and grow into larger actions. Up to four Start-Up Actions will be selected for funding. BLUEMED is the Research & Innovation Initiative for promoting the blue economy in the Mediterranean Basin through cooperation. It is the strategy of reference for Mediterranean countries to work together for a healthy, safe and productive Mediterranean Sea. The BLUEMED Initiative aims to contribute to the creation of new ‘blue’ jobs, social wellbeing and sustainable growth in the marine and maritime sectors through the implementation of its Strategic Research and Innovation Agenda, the BLUEMED SRIA. The Valletta Declaration on Strengthening Euro-Mediterranean Cooperation through Research and Innovation was a major outcome of the Maltese Presidency of the Council of the EU in 2017. It clearly identifies the BLUEMED Initiative as “a means to promote a healthy, productive and resilient Mediterranean Sea and stress the importance of structuring Euro-Mediterranean cooperation in marine and maritime sectors ...” As a major follow-up, the Group of Senior Officials’ BLUEMED Working Group (GSO BLUEMED-WG) was established in the framework of the Euro- Mediterranean R&I Group of Senior Officials, as the Steering Body of the BLUEMED Initiative. 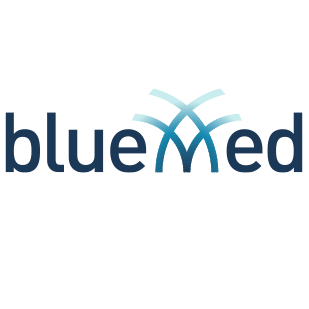 The BLUEMED project is a Coordination and Support Action (CSA), funded by the European Commission within the H2020 Framework Programme with 3 million Euros, aimed at supporting the implementation of the BLUEMED Initiative as a key policy reference for all actors of Blue Growth in the Mediterranean, by promoting the update and implementation of the BLUEMED SRIA, converting its outputs into actions. Coordinated by the National Research Council of Italy (CNR), leading a Consortium of 11 partners, this project has the privilege to set the scene – for the first time in the whole Mediterranean Basin – for the long-term effective coordination of marine and maritime research and innovation activities, consolidating networks and establishing mechanisms that will remain beyond the conclusion of the project. The four BLUEMED Platforms (Knowledge, Economy, Technology and Policy) represent a key tool developed by the project to ensure constant dialogue and consultation with national stakeholders to reach the objectives of the BLUEMED Initiative. The BLUEMED CSA aims to facilitate cooperation in all Mediterranean countries, in order to promote the alignment of programmes and strategies and the pooling of resources and investments, creating the conditions for new opportunities to develop joint activities. The BLUEMED vision is shared by a great number of projects, be they Horizon 2020 or other EU-funded projects, initiatives funded by the Union for the Mediterranean or nationally funded endeavours. BLUEMED seeks to bring as many of these projects together as possible, in order to combat fragmentation and the duplication of efforts and foster data sharing and knowledge transfer. The partnership applying for a Start-Up Action must be composed of at least four legal entities: three from at least two different EU Member States and one from a non- EU State. The partners have to be entities that are active in fields related to blue growth and the blue economy, e.g. Marine or Maritime Institutes, University Departments or equivalent, Research Centres, Government bodies or agencies, Local Councils, private enterprises, SMEs, Foundations, or Non-Governmental Organisations. This Call is driven by the key challenges and related goals and actions of the BLUEMED SRIA, while adopting a completely bottom-up approach. No specific topics are imposed on the applicants. However, it is important for proposals to refer to the BLUEMED SRIA, explaining how they address a particular Goal. Every Start-up Action will bring together multinational actors from different disciplines. The partnership can invite experts from all relevant fields including, amongst others, economists, lawyers, ICT specialists, social scientists, graphic designers (e.g. for dissemination purposes). It is important for the private sector to be represented in every partnership, ideally by involving a private enterprise or SME as Co-Lead partner (i.e. a partner with an active role in the leadership of the study project). The Start-up Actions must have clear Mediterranean and European added value. Beyond the proposal, a budget breakdown and timeline are also required. The inclusion of a Gantt chart is recommended. The proposal is expected to include a roadmap of activities and goals pursued, beyond the immediate scope of the study. It is recommended that applicants highlight possible outcomes and achievements of previous or on-going related initiatives, if applicable. Proposals are to take into account any socioeconomic aspects, the cost-effectiveness of the actions, their impact and any legal issues/bottlenecks, if relevant. Of crucial importance is the ability to inject new ideas within the BLUEMED vision of the marine and maritime Mediterranean area. Any publications ensuing from the Start-up Actions must be made available in Open Access. Every partnership will nominate a Lead Coordinator, who will present the proposal on behalf of the partners. A preliminary description of roles within the partnership is required. Kindly fill in the Online Proposal Submission Form available on the following web page http://www.bluemed-initiative.eu/start-up-actions/ by 15 July 2018. A given entity and/or partnership may only apply for one Start-up Action. Late applications will not be considered. Applying entities will be required to declare that the activities conducted under their Start-up Action are not funded under another European scheme. Individuals involved in the BLUEMED CSA, Advisory Board or other BLUEMED bodies may not submit an application. Their institutions/organisations, however, are not barred from participation. Every partnership will sign a Memorandum of Understanding and, if applicable, an IP agreement. Any modifications to the Memorandum of Understanding will require the approval of the Steering Committee. Every partnership will be required to submit a short report after every workshop/meeting. The final feasibility or foresight study or pilot project, detailing the outcome of the Start-up Action and plans for future developments, will need to be submitted within three months from the last workshop/meeting. It will include a section on the implementation of the study, including, if applicable, a business plan and/or information on any co-financing leveraged or sought. Dissemination activities will also need to be listed, e.g. materials produced (posters, brochures, giveaways, etc. ), webinars/short on-line courses organised2, etc. Every partnership will be awarded an estimated budget of 32,000 Euros for the implementation of its Start-up Action. b) The related travel and subsistence costs for the partners and invited experts. - Only economy class airline tickets up to a maximum of 400 Euros for European flights and second-class train tickets will be reimbursed. - The use of one’s personal car is not reimbursed. - Taxies are not reimbursed. - Hotels up to 4* will be reimbursed up to a maximum of 175 Euros per room per night. c) Costs related to the printing of dissemination material (reports, posters, brochures, giveaways, etc.) concerning the outcome of the Start-up Action. Payments will be made on an ad hoc basis, by reimbursement of incurred expenses (receipts required). The Start-up Action proposals will be evaluated and ranked by the BLUEMED CSA Consortium on the basis of the criteria and point system laid out in the table below. They will be awarded by the BLUEMED CSA Steering Committee. Proposals should be clear, coherent and realistic in terms of timelines and budgets. They will be assessed on their level of innovativeness, the quality of the partnership (qualifications, leadership, experience and variety of expertise), involvement of relevant/high-level stakeholders, and the methodology proposed. Proposals should clearly show their understanding of the BLUEMED concept and define the contribution they will make to blue growth in the Mediterranean. They will be assessed on the basis of their Mediterranean added value, their level of relevance to the improvement or implementation of the Goals of the BLUEMED SRIA, their multi-disciplinary dimension and their geographical scope. Proposals should have clear, defined objectives, leading to significant impact on blue growth in the Mediterranean region. They will be assessed on their level of uptake feasibility and sustainability over time, their ecological and social impact, their cost- effectiveness, as well as their plans for dissemination and leveraging of co-financing opportunities.